We were selected for this two stage limited competition to design a small library and registry office in a site behind the main street of this small picturesque Herefordshire town. 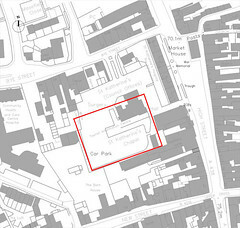 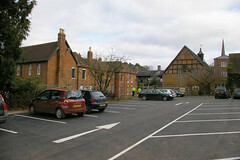 The site itself, although being of great archaeological significance as the former location of a medieval hospital sadly was now mostly car park. 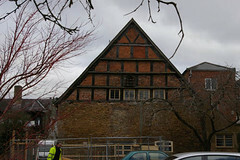 One building remained from this era although this had been much compromised by unsympathetic interiors and later accretions. Our proposition was to remove these accretions and place the registry office in the historic building. 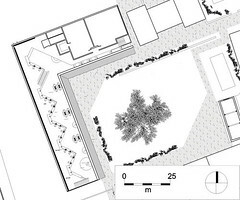 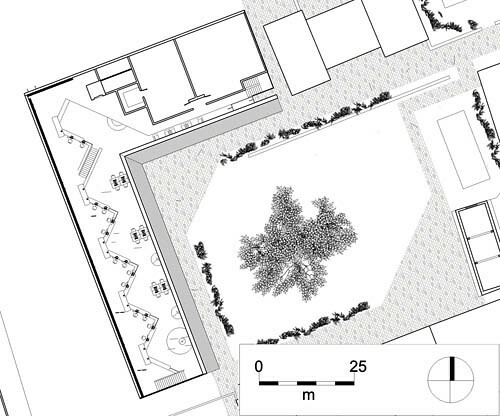 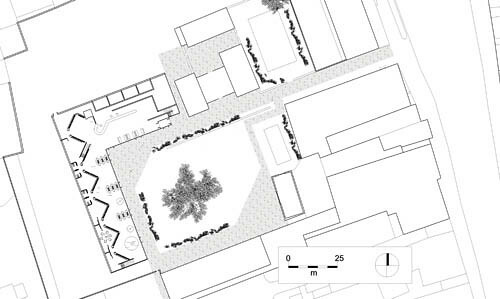 The library itself was located as two edges for a proposed walled garden which would shield it from the remaining car parking. In the shorter arm are the offices and a proposed tourist information desk at ground floor and meeting rooms above. The long arm was reserved for the library arranged in an open two storey space. 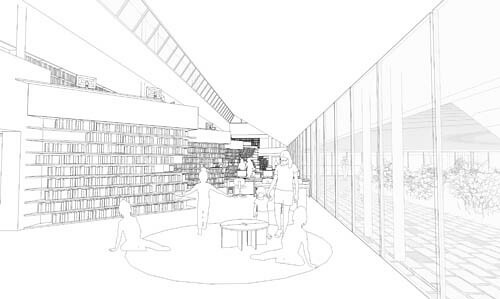 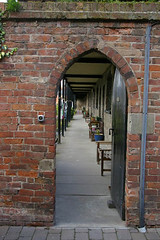 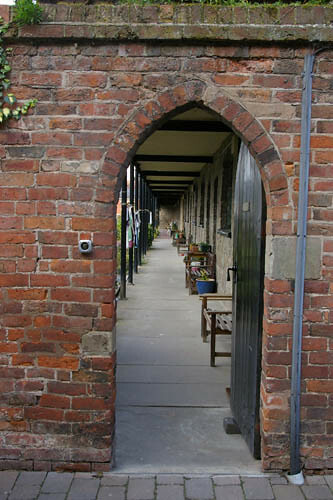 Instead of stacks we proposed a zig-zag wall of books which can be seen on approach from the walled garden. 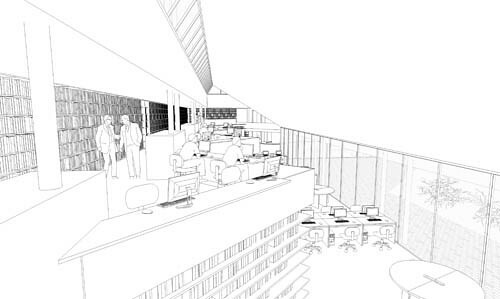 This device makes quiet study places to the rear at ground floor and open study tables on the first floor.